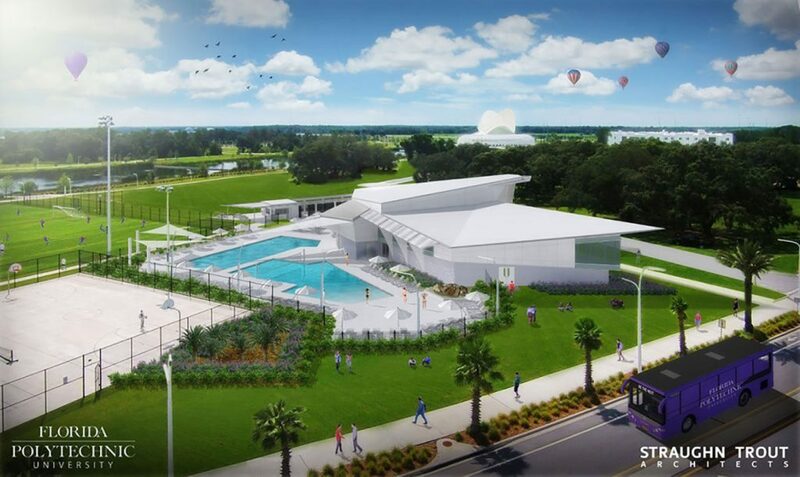 LAKELAND, Fla. – Florida Polytechnic University will soon break ground on a new and vastly expanded, state-of-the-art wellness and aquatics center on campus, helping students match the rigors of their classroom academics with the value of health and fitness. The yet-to-be-named facility will be shaped like a phoenix, the Florida Poly mascot, and include a range of facilities for strength, cardio and aquatics. Bridging the classroom and health worlds, the center will also have a dedicated space for students to design and test new technologies for physical and health training. 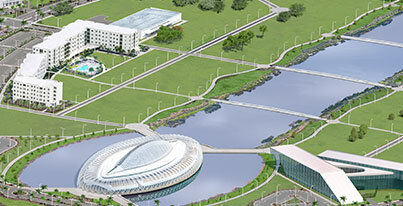 Florida Poly could begin building infrastructure on the complex this autumn, depending on development schedules, and open the facility for student use in the summer of 2017, providing a major new asset for Florida’s newest public university. Need for the new facility became especially clear as attendance and usage of the University’s current wellness center has increased by 408% since last year, and 90% of students who participate in intramural sports programs found positive professional and social development helps them in the workplace. The new wellness center will include a more than 2,700 square-foot strength training area, a multipurpose room that can be used for group fitness classes and applied learning, two professional office spaces as well as a meeting room for both student and faculty usage and a covered outdoor rock climbing wall. Fully accommodating locker rooms will be available as well as two pools behind the building, one for lap swimming and the other for activities and intramural water sports.